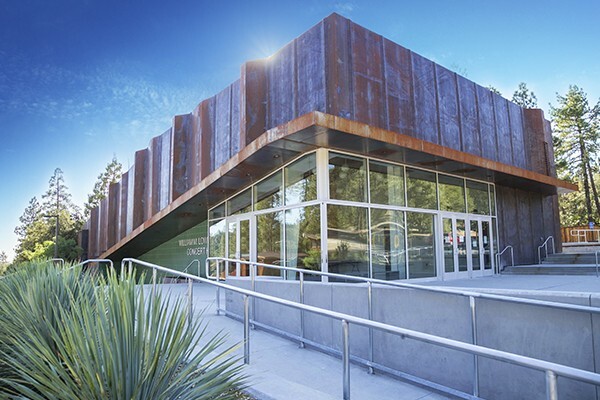 Our picturesque campus is set on 205 acres of pristine pine forest located in the renowned arts village of Idyllwild in Southern California’s San Jacinto Mountains. 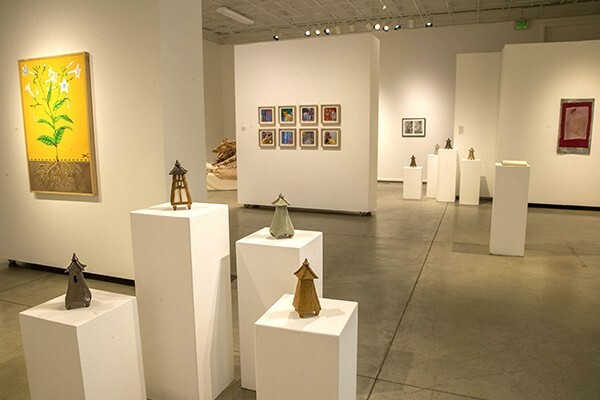 Idyllwild Arts can be reached from regional airports by car. The campus is within 2 hours of Los Angeles, Orange County and San Diego. 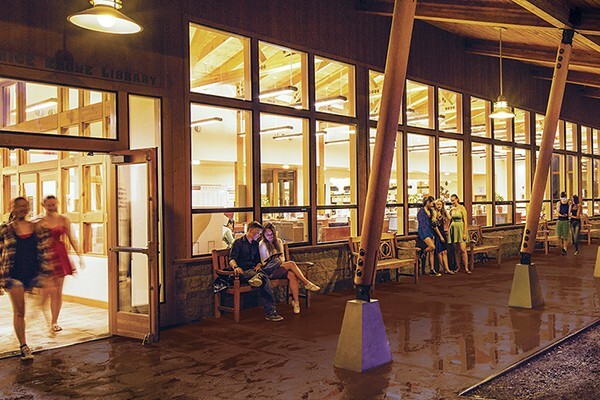 At an elevation of 5,200 feet, the sprawling campus and facilities are comprised of state-of-the-art classrooms, sound-proofed private rehearsal studios, a sound stage, spacious and comfortable student dormitories, a large dining hall, an architecturally stunning library, a performance theatre, a recital hall, an outdoor ampitheatre, Health Center, student store, and numerous administration buildings all laid out with scenic walking trails and roads. Amid this idyllic setting, you will find facilities that enhance our students’ experience of artistic discovery, productivity, creativity. 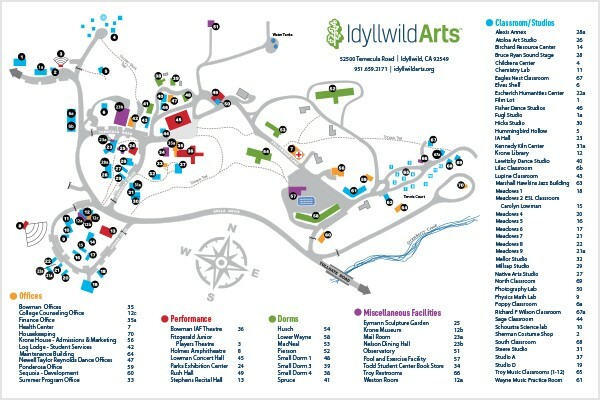 In addition to providing an outstanding arts education to our students, Idyllwild Arts is also committed to instilling a sense of responsible , eco-conscientious environmental stewardship.